Purchase 50 or more Tourniquet and Haemostatic Dressing Bundle s and download your free support pack worth £100. 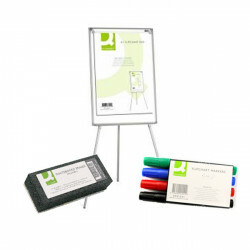 Purchase 200 or more Tourniquet and Haemostatic Dressing Bundle s and you can have personalised covers absolutely free! 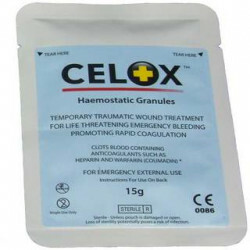 This fantastic bundle is ideal for demonstrating the use of a Tourniquet and Haemostatic dressings as it combines both of these life saving devices and a safe means in which to practise their application. The arm model provides both a realistic and stable base for demonstrating the application and tightening of a tourniquet. 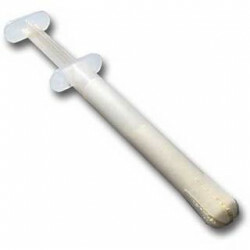 The foam wound trainer block provides an excellent budget solution for trainers who want to demonstrate how to effectively pack a wound with a Haemostatic dressing. Complete with a large Relicrepe bandage, the trainer block has two different wound shapes cut out to create the ideal demonstration platform for Haemostatic dressings and how they should be used. 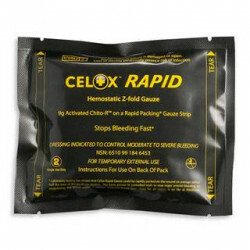 This fantastic bundle also comes complete with a packet of Celox Rapid Z Fold Gauze, so you can show your students exactly what to look out for!